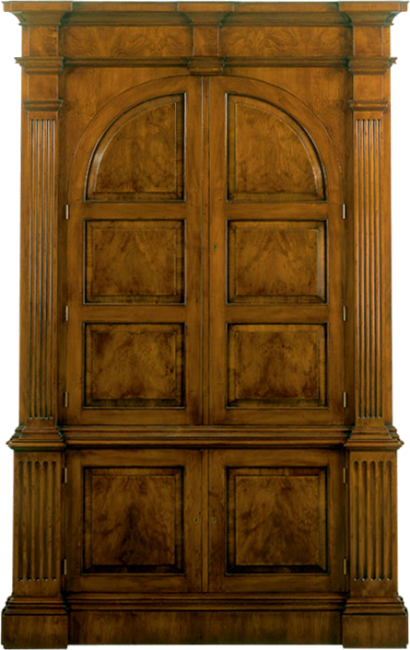 Stunning entertainment unit with carved fluted columns and fielded panel doors. Articulating TV tray. Lower Section has one adjustable shelf.